If you are looking for an Estate Home Please Click Here. After your offer to buy a home enters into contract, there are few necessary costs, such as lawyer fees, and the total of these expenses may have you looking for ways to save money elsewhere. You may be tempted to skip the home inspection and its $200 to $500 invoice, but there are 10 good reasons why you should get one. 2. Safety A home inspection can detect safety issues like radon, carbon monoxide, and mold, which all homes should be tested for. Make sure that your home-buying contract states that should such hazards be detected, you have the option to cancel the offer to buy. A home inspection can reveal whether rooms, altered garages or basements were completed without a proper permit, or did not follow code. “If a house has illegal room additions that are un-permitted, it affects the insurance, taxes, usability and most of all the overall value. In essence, a buyer is purchasing something that legally does not exist.” Even new homes with systems that were not installed to code will become the new homeowners’ financial “problem” to fix (and finance). 4. 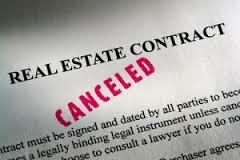 Protection Home inspections are even more critical if you are buying an “as-is” foreclosed property or short sale. Dwellings that have been boarded often develop hazardous mold problems, which are costly to remedy and pose health concerns. It’s common for home inspectors to find that copper plumbing lines and outdoor compressors have been removed from foreclosed properties by people trying to sell copper to recyclers for money. 5. Negotiating Tool The home inspection report presents an opportunity to ask for repairs and/or request a price reduction or credit from the seller. Work with your realtor to understand what requests can and should be made to negotiate a better deal. A home inspector can approximate the installation age of major systems in the home like plumbing, heating and cooling, and critical equipment like water heaters. They can diagnose the current condition of the structure itself, and tell you how long finishes have been in the home. All components in the home have a “shelf-life.” Understanding when they require replacement can help you make important budgeting decisions, and it will determine when repairs or updates will be required and what type of home insurance coverage or warranties you should consider. 7. Determine “Deal-Breakers” Home inspections can help buyers identify how much additional money or effort they are willing and able to spend to take the home to a condition that is personally acceptable. If you are unwilling to repair issues like faulty gutters, cracked walls or ceilings, perhaps you are not ready to end your home buying search. 8. 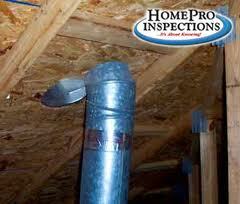 Learn to Protect Your Investment The home inspector is a valuable educational resource. He or she can suggest specific tips on how to maintain the home, and ultimately save you thousands of dollars in the long term, according to. 1. “Your idea of a home inspection isn’t necessarily the same as mine.” You’ve found the home of your dreams. But cautious consumer that you are, you want a home inspector to take a look at it before you buy. That way, you’ll be forewarned about any defects or problems, right? Not necessarily. A home inspector’s job is to conduct a visual examination of the physical condition of the house and certain systems within it. The key word here is “visual.” That means home inspectors don’t have to remove carpets to make sure the floors aren’t warped, for example, or drill into walls to check for insulation. Sure, they’ll eyeball your water system for observable leaks or plugged-up drains, but don’t count on them to check the septic tank or underground pipes. Most homes have imperfections, and inspectors probably won’t catch everything. They’re looking for major defects — electricity that’s not grounded, air-conditioning or heating systems that are operating in an unsafe manner. Amazingly, the eyeball rule applies even to the roof. The American Society of Home Inspectors (ASHI), a professional organization with around 5,000 members whose guidelines have been adopted as the industry standard, says its member inspectors must “observe” the roof, but it doesn’t say they actually have to go up there. Even some veteran home inspectors think inspectors should closely check the roof. “A really bad roof can look good from the ground. When you see it at an acute angle, you don’t always see the defect. But when looking straight down, you can see it better,” Stone says. An inspector can make excuses for not getting to the roof, saying it’s fragile or slippery. But there are often ways around those hurdles. Stone says you could set up a ladder to look at the roof without actually stepping on it. Or if you stand far enough away from the house, you can get a better perspective by using high-powered binoculars. Stone recommends asking an inspector how he checks the roof before hiring him. If he won’t go up, for whatever reason, you might want to try someone else. 3. “Training? What training?” As a rule, who do you think faces more stringent licensing requirements, manicurists or home inspectors? While many home inspectors have years of experience that make them experts at what they do, the only credential some can boast is an ad in the Yellow Pages. In fact, 16 states, including California, still have no regulations for home inspectors, and even those that do don’t always require much in the way of training. 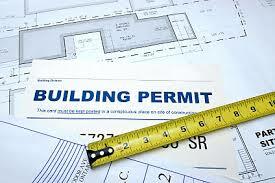 So if you can’t rely on licensing credentials, what should you look for in a home inspector? Finding someone with years of experience is most important, so always ask a prospective inspector how many years he’s been doing this work, Stone says. “No school can teach you to be a good home inspector. They can teach you the rudiments of beginning your apprenticeship, but it takes years to become really good at finding defects,” he says. And while ASHI accreditation is no guarantee, the group’s members do have to pass a national home inspector exam and have 250 inspections under their belt, says David Tamny, ASHI’s current president. 4. “I’m more loyal to your real-estate agent than I am to you.” Since many prospective homebuyers are new in town, they naturally turn to their real-estate agent to recommend a home inspector. 5. “Oh, you want a real home inspection. Well, that’s gonna cost you.” The checklist for a standard home inspection, which starts around $300 to $400, may seem to cover all the basics — but watch out: Even ASHI-approved inspectors aren’t required to look for problems with kitchen appliances, fire and lawn sprinkler systems, septic systems, lead paint, radon gas, smoke detectors, (noncentral) air conditioners, pests, and geological and soil conditions. These “extras” nearly always add to your bill. Still, if the house you’re considering isn’t connected to city water and sewers, for example, it’s essential to inspect the septic system. (Some states, such as Massachusetts, require it.) And depending on your location, you may also need geologic or seawall testing. Although they’re not required to do so, some inspectors will check your appliances. Others, such as Stone, will inspect sprinklers. But for a thorough septic system inspection, which is a very involved job, you would want a specialist. “You have to empty the whole thing and you need to get a septic contractor to do that. The only way you can really inspect it is to pump it out. That’s outside the scope of home inspector’s work,” Stone says. A radon check, for example, will add $75 to $175 to the baseline price of an inspection. A test for asbestos can be an extra $50. And while each home should be checked for the same problems and defects, there are differences that make new constructions more difficult to inspect that existing homes, says King. A new home has no history to it. The water was never run, so small drip leaks may not have shown up just yet. And depending on how the weather was during construction, the roof might not have experienced rainfall. “So finding a roof leak in a new construction may be hard to detect,” King says. 7. “I don’t guarantee my work.”For many prospective homebuyers, a thumbs-up from a home inspector is the last bit of reassurance they need before they sign on the dotted line. That can be a mistake. When homebuyers get an inspection, they often expect that to be some sort of insurance policy, says Norman Becker, one of the founders of ASHI and author of “The Complete Book of Home Inspection.” Good inspectors should be able to pick up on evidence of problems — like a moldy odor or a rusted furnace — but they can’t detect everything. 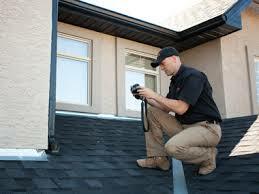 A home inspection is merely a snapshot of a house’s condition at a given moment. It’s not a prediction for when a system (a boiler, for instance) might fail or when a structural component might fall apart. A typical roof lasts about 20 years, says Becker. If your roof is 14 years old, an inspector can’t necessarily say yours is going to last six more years, but he can alert the buyers to the typical life span of the equipment. A good home inspector should be able to give homebuyers a feel as to what costs are associated with certain items in the future, Becker says. 8. “Why would I want to have insurance?” Many home inspectors agree that it’s important to carry general liability insurance that covers them if, say, their ladder accidentally falls through a plate-glass window. But they’re hardly unanimous when it comes to errors-and-omissions insurance — E&O, for short — the malpractice or professional liability coverage for home inspectors. E&O covers home inspectors who are proved negligent in their work — if they sign off on a heating system, for example, when the house has no furnace. The problem is that while some see E&O as a marketing advantage, others see it as an invitation to a lawsuit. They think they’re seen as having deep pockets, and some inspectors don’t get the insurance just for that reason. “I think it’s too risky without the insurance,” Stone says. 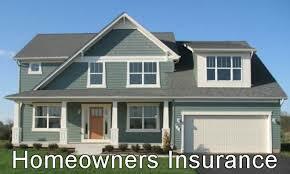 He recommends that homebuyers hire inspectors who have insurance. “But on other hand, I know some great inspectors who don’t have it,” he says. 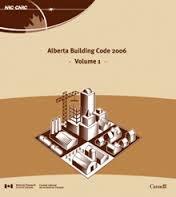 It’s a rare homebuyer who knows the finer points of his city’s or Provinces building code. But, hey, that’s what hiring a home inspector is for, right? Well, not quite. Just ask Elaine Arabatzis. Arabatzis hired a home inspector to investigate a house she was about to close on. The inspector dutifully pointed out a few things that needed fixing: A drain was clogged; the air-conditioning filters needed to be cleaned. But what the inspector failed to report was that a family-room addition to the 27-year-old, three-bedroom house had been constructed improperly — with just one electrical outlet in the entire room, short of what the code required. When Arabatzis complained, however, the company told her they hadn’t been hired to inspect for code compliance. And indeed, the home-inspection report clearly states that the company is not responsible for code compliance. 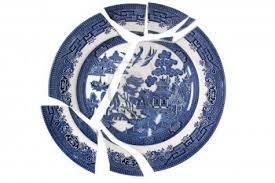 It can happen to anyone — you bump into the china cabinet and Grandma’s plate falls down. Some might say that causing some damage in a home is an occupational hazard that comes with being a home inspector. Technically, the inspection consists of a visual examination of the home, but that’s not entirely realistic. “We have to touch stuff,” says Bruce Ramsey, a home inspector in Raleigh, N.C. True, a thorough house checkup requires hands-on poking and prying — and a little cosmetic damage is a small price to pay for knowing what shape your dwelling is in. But an inspector who damages woodwork or light fixtures should offer to pay for the repair. 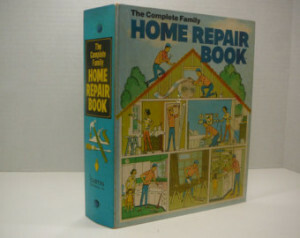 The Inspector is a guest in the house, Inspectors generally shouldn’t be taking things apart or fixing them. In the course of an inspection, someone might need to move things around. But if everything is put together properly, there shouldn’t be any breaks or nicks. They must be ever so cautious.